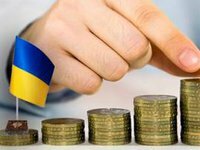 Ukraine's Finance Ministry following the increase in the refinancing rate by the National Bank of Ukraine (NBU) from September 7, 2018 from 17.5% to 18% per annum has increased the rate for placing hryvnia-pegged government domestic loan bonds from 18% to 18.5%. The ministry said on its website that buyers were ready to buy three-month bonds for UAH 1.8 billion at rates up to 20.75% per annum, while the ministry raised only UAH 110.46 million at 18.5%, rejecting six out of 14 applications. Demand on six-month and 12-month bonds was within UAH 20.5-22.4 million at the rates up to 18.7% and 19% per annum. The ministry decided not to increase the rate higher than 18.5% per annum, raising UAH 24.2 million more. The ministry also rejected an application to buy three-year bonds for UAH 17 million at 17.25% per annum and retained the rate for placing U.S. dollar-pegged bonds at 5.95% per annum, while some buyers asked to set the rate at 6.2-6.5% per annum. The ministry managed to raise another $10.3 million, while extra demand was some $5 million.